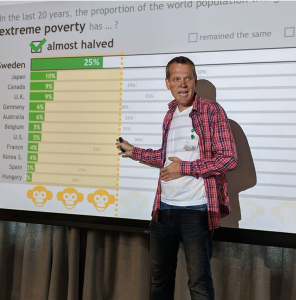 Ola Rosling went to Google in Stockholm and tested their knowledge of basic global facts! The Sales & Engineering team of Google found it important to learn about the misconceptions that affect people’s understanding of the world. 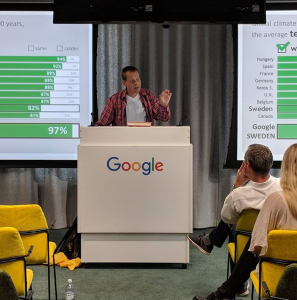 Organizations such as Google, that provide so much data to the public and end up influencing on what information reaches the users, must understand how people receive such information and how that affects their understanding of the world. 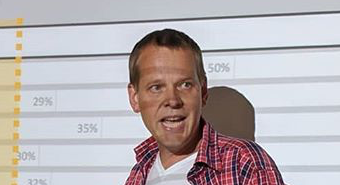 This knowledge helps them to analyse the impacts of their services and can potentially help in improving their own approach to data presentation.